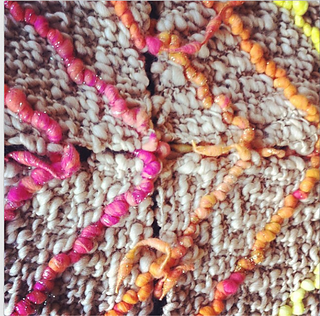 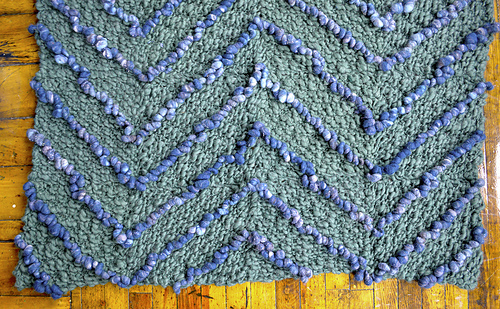 Our Pixie Dust yarn with all its sparkles and cocoony awesomeness lends itself perfectly to projects for your home. 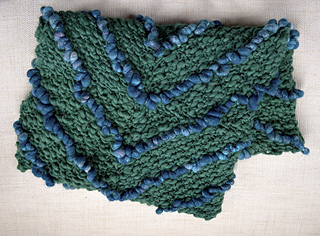 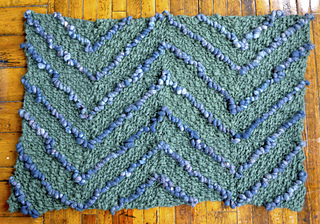 In this pattern, Pixie Dust is striped together with our thick and thin Sister yarn to create a beautiful chevron pattern. 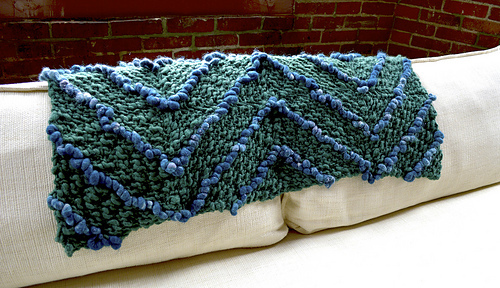 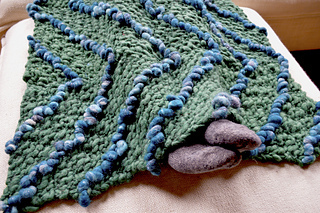 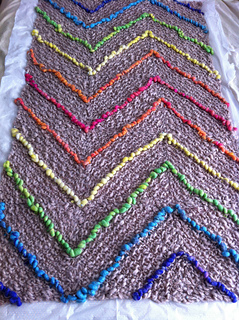 This blanket is created by knitting blocks and then seaming them up at the end into a chevron pattern. 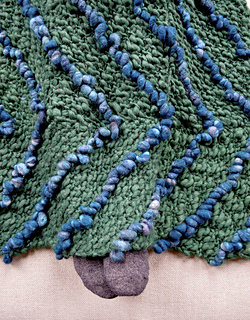 The blanket shown here is composed of 12 knitted blocks but if you prefer larger we’ve included the pattern for that as well!